Conflicting information about Swedish bitters and pregnancy makes deciding whether to use the supplement a little confusing. 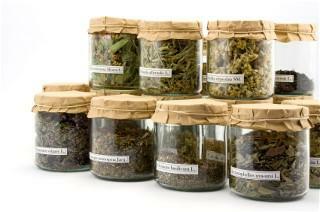 The concoction consists of a number of different herbs, making the subject more complex. The history of Swedish bitters, its ingredients, and suggestions for use are important considerations. Claus Samst was a Swedish doctor who developed a formula combining various herbs that were supposed to treat more than 40 medical conditions. The 18th century physician is credited for presenting his traditional family concoction to the public. Phillips Paracelsus, a 16th century physician from Switzerland, is noted to be the person who initially developed the Swedish bitters mixture. Swedish bitters are effective as a topical treatment for acne scars because of its antiseptic and healing nature. People have used the mixture for a number of different aliments and conditions. Swedish bitters and pregnancy topics do not include natural way to increase fertility. The pressing question is whether the bitters are safe for pregnant women to use. According to the Swedish Bitters Manuscript, it is easy to assume that there is no harm in taking the mixture during pregnancy, but the manuscript was not written nor evaluated by a medical doctor. It is important to consider the ingredients as well as their possible side effects. Let's look at each ingredient along with their possible side effects in order to determine if the product is appropriate for pregnant women. Some formulas use alcohol, as in the original concoction, but several manufacturers have created alcohol-free recipes. Aloe is the active ingredient in Swedish bitters. The Mayo Clinic states that topical use of aloe is not likely to be harmful to a developing fetus, but it warns that aloe may cause uterine contractions. The Swedish bitters recipe uses water extract from several herbs. Angelica root can be used to relieve gas and as a topical treatment for some skin problems. There is little information about the safety of the herb. Carline thistle root is supposed to cleanse the liver and to treat some gastrointestinal problems. The root has some antiseptic qualities. Camphor is an herb collected from a subtropical tree. Some synthetic forms of the herb are produced. Myrrh has natural antiseptic qualities and can be used as an astringent. However, there is little research about the herb and it is not considered to be safe during pregnancy. Rhubarb root is used for as an astringent and as a laxative. The western rhubarb root is mild, and it is used by some to treat digestive problems in infants. Saffron is a spice that has some medicinal qualities. Normal consumption of the herb is safe for nearly all populations, but too much saffron may be dangerous during pregnancy. Senna is used to treat people who have intestinal obstructions but many proponents state that the herb should be avoided during pregnancy. Theriac venetian is used in Swedish Bitters to relieve indigestion and for its antiseptic qualities. There are no known side effects of the root. Zedoary root is related to turmeric and ginger. Some warn against using this herb during pregnancy. While some of the ingredients appear to be appropriate for pregnant women, some of them are not. The subject is further confused by the differing recommendations from one source to another. In a 2002 letter to the Food and Drug Administration, Janet Sperry, a representative of Quality Health from God's Pharmacy, writes that women who are pregnant or breastfeeding should consult their physicians before taking the supplement. Encyclopedia.com advises that bitters can cause bleeding an miscarriage, so pregnant women should avoid taking them. The conflicting information about Swedish bitters and pregnancy is confusing, making it imperative to consult your physician before adopting the product as a supplement during pregnancy. The risks of developing problems during pregnancy are little known and it is best to be cautious when considering any supplements during this important time, especially if you have a high risk pregnancy.